UFO SIGHTINGS DAILY: More Sink Holes Caused By UFOs Entering and Exiting Underground Bases, August 2015, UFO Sighting News. 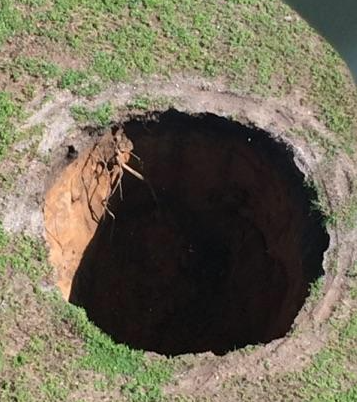 More Sink Holes Caused By UFOs Entering and Exiting Underground Bases, August 2015, UFO Sighting News. These sink holes, as some call them, are created from UFOs entering and exiting underground bases. Some UFOs cause such disturbances. For instance the holes in Guatamala are of exceptional death and width. Entrances cannot be easily moved by aliens, which means this will open up again and again in the future. A giant sinkhole in Florida has opened up two years after a sinkhole in the same spot swallowed a sleeping man and killed him, authorities said Wednesday. 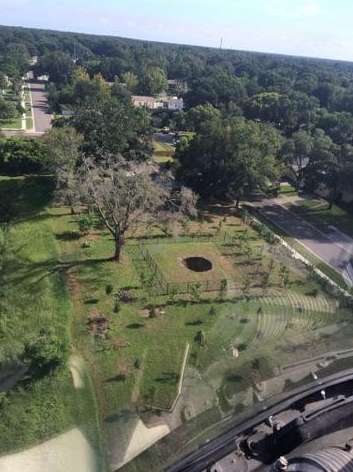 Hillsborough County Fire Rescue and others agencies responded Wednesday to a report of a sinkhole in Seffner, a town east of Tampa, in the same location where a man died in 2013, according to the fire department. “Upon arrival, it was confirmed that this is the same sinkhole,” a fire and rescue statement read. The sinkhole measures about 20 feet in diameter, no one has been injured and nearby homes haven’t been evacuated, Hillsborough County Fire Rescue spokesman Ronnie Rivera told the Associated Press.